Tom Wheeler is the man responsible for pushing 5G in the U.S. He has since stepped down and his predecessor, Ajit Pai, is equally evil. Both men deserve to be executed for treason and for their deliberate attempts to destroy humanity and our world through radiation poisoning. These men are evil to the core. The pushback is happening at warp speed. I do believe the FCC is about to take a huge hit as the people rise together to halt the unregulated rollout of 5G and the unabashed attempt to destroy humanity and all of life. The time to rid the Earth of this evil is at hand. Enough is enough. “The U.S. Conference of Mayors strongly opposes recent proposals by the Federal Communications Commission to grant communications service providers subsidized access to local public property and to dictate how local governments manage their own local rights-of-ways and public property. This unprecedented federal intrusion into local (and state) government property rights will have substantial adverse impacts on cities and their taxpayers, including reduced funding for essential local government services, as well as an increased risk of right-of-way and other public safety hazards. 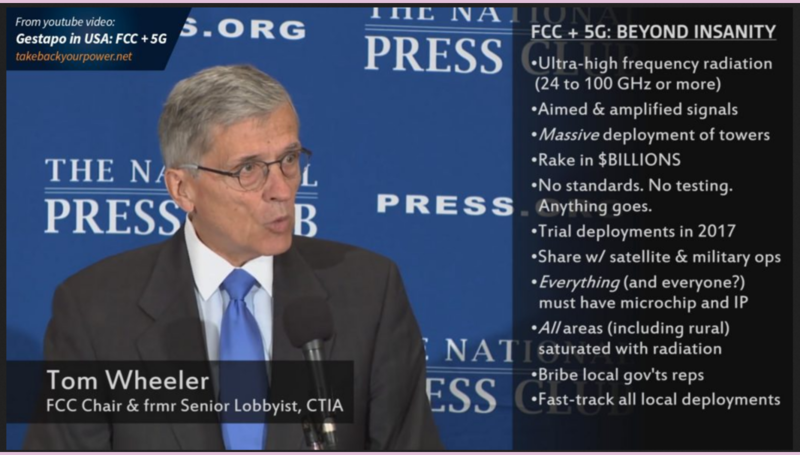 “We believe the courts will conclude that FCC’s proposals are based on misguided interpretations of federal law. Congress previously addressed and resolved these issues resoundingly in favor of local and state governments and their property rights. The Conference and its member cities reject efforts by this unelected federal regulatory agency to improperly invade state and local government authority by compelling local elected officials to subsidize, or “gift”, local public property to a small, favored group of private businesses. According to FCC’s own estimates, just one of these actions – the proposed small cell rules – threatens future revenues to local (and state) governments by billions of dollars over the next decade. The Dive has already published articles about citizens who aren’t keen on 5G technology or “Smart Cities.”However, they are still pro-industry. Keep that in mind if/when you read their articles. Of course, most – but not all – articles published by pro-industry publications are going to be pro-tech everything. And some – but not all – articles published by the mainstream media include inaccurateinformation about harm caused by exposure to technology. 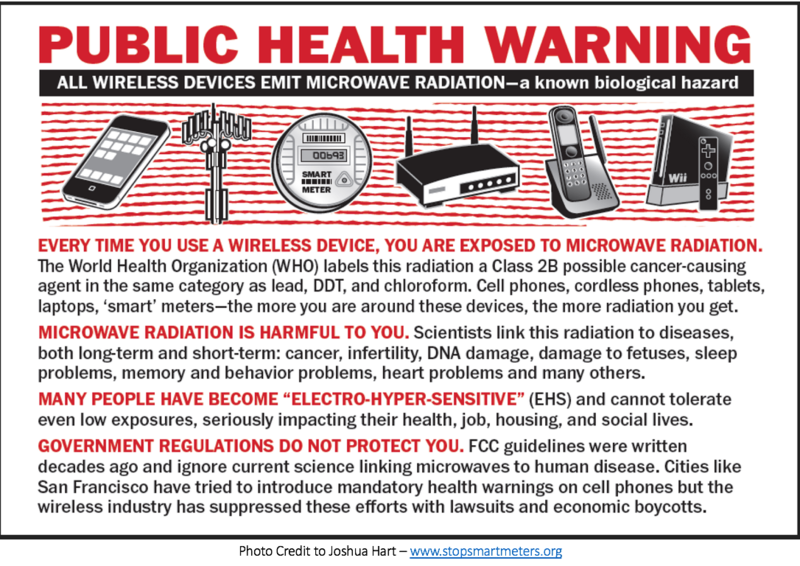 Regardless, decades of research has already proven that exposure to cell towers and all sources of cell phone and wireless radiation can be harmful and in more ways than cancer risk. That’s why there are an increasing number of American children, teenagers, doctors, environmental organizations, firefighters, municipal organizations, tribal groups and more who aren’t happy AT ALL about having no control over wireless infrastructure installation in front of their homes and throughout in their communities. They are not backing down. One municipality enacted an “urgency ordinance” after it received 145 letters from concerned citizens expressing their worries over new 5G towers. The Federal Communications Commission is NOT a health or environmental protection organization. However, their job is to regulate The Telecom Industry (aka Big Wireless). They are supposed to protect the public but they are not. This isn’t a new thing either. Activist Post has covered FCC shenanigans many times. Current FCC Commissioner, Brendan Carr, current FCC Chairman Ajit Pai, and former FCC Chairman, Tom Wheeler all seem to have sold out to The Telecom Industry. Many of our elected officials have as well – but fortunately not all of them.